As a business owner, it is a great feeling when your business is firing on all cylinders. As revenue grows, the business is forced to take on more employees, and all of a sudden your once-small company is up for contracts/orders that you would never have imagined being possible only a short time ago. With this influx of success, you may find yourself looking at the innovative new technology that once wouldn’t have been practical, but now is both in your price range, and increasingly necessary. If your once-small business is the envy of others in your market, there is significant pressure on you to sustain that level of acclivity. The problem is that sustaining that level of growth is extremely difficult. The more people involved, the higher the expense, the higher the stakes. At Suffolk Computer Consultants, we have plenty of experience helping growing businesses move forward. As a managed service provider we understand that the growing pains a company can have can stall their progress. We offer complete network and infrastructure monitoring and management, hardware and software support, and a slew of other IT-related services that can allow overwhelmed business owners and managers to focus on the task at hand, running a successful business. We’ll take a look at some of the core concerns for a growing company and how working with a managed IT services provider is a perfect situation for a company who has seen substantial growth in a small window of time. When finding a streak of success, a lot of people will scrap innovation for a tried and true approach, but investing in new technology is one way to keep the foot on the gas pedal to help push your organization's productivity, efficiency, and overall effectiveness to greater levels. At Suffolk Computer Consultants, our consultants are well suited to provide your organization’s decision makers with options that will not only boost your operational effectiveness now, but also work to sustain that effectiveness in the future. 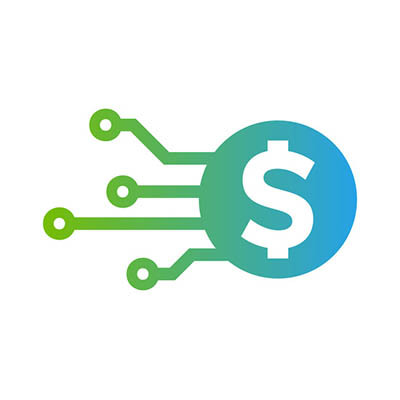 Managed IT can provide your organization with quite a few benefits, but the one thing that may not show up on an invoice is the peace of mind you’ll gain from having our proficient technicians watching your company’s back. Here you are, succeeding in your dream, with employees who depend on your organization. Sometimes the pressure of it all can be overwhelming, especially if you don’t have your full attention on the task at hand. Our technicians understand that, as technology experts, our job is to handle the management of the information systems in a way that promotes productivity, efficiency, and security. With your business’ pain points being looked after, you can focus on what’s next, not what’s the matter. If you are looking for a way to get out from under the anxiety and expense of managing your business’ critical IT infrastructure, call us at 631-905-9617 to learn how exactly we can bring our value-based IT services to your business. Suffolk Computer Consultants has been serving the Speonk area since 2013, providing IT Support such as technical helpdesk support, computer support, and consulting to small and medium-sized businesses. Suffolk Computer Consultants launches new website! Suffolk Computer Consultants is proud to announce the launch of our new website at http://www.suffolkit.com. The goal of the new website is to make it easier for our existing clients to submit and manage support requests, and provide more information about our services for prospective clients. 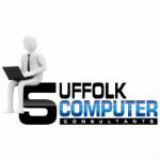 Learn more about Suffolk Computer Consultants and what we can do for your business. Copyright Suffolk Computer Consultants. All Rights Reserved.